The Ol' Saint Nick pajama is adorable. 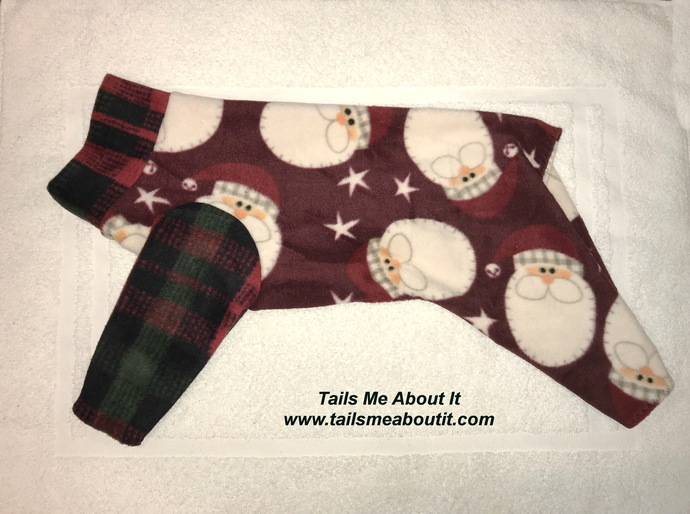 Santa Claus pattern on a burgundy anti-pill fleece trimmed in a festive plaid anti-pill fleece in reds and greens. A must have this holiday season :). Small: Neck: 10",Chest around: 18", Length: 13"
Medium: Neck: 12", Chest around 20", Length 15"
Large: Neck: 13", Chest around" 22", Length: 17"
Xtra Large: 14", Chest around: 24", Length: 19"
If you require a custom pajama, please MESSAGE ME before purchasing so we can discuss measurements and pricing. 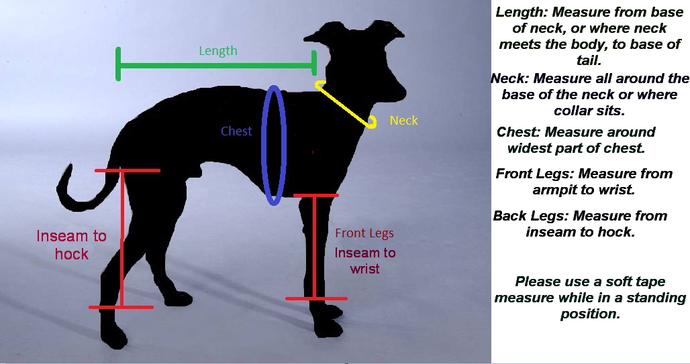 Visit our website for collars, dog clothing, and so much more www.tailsmeaboutit.com.